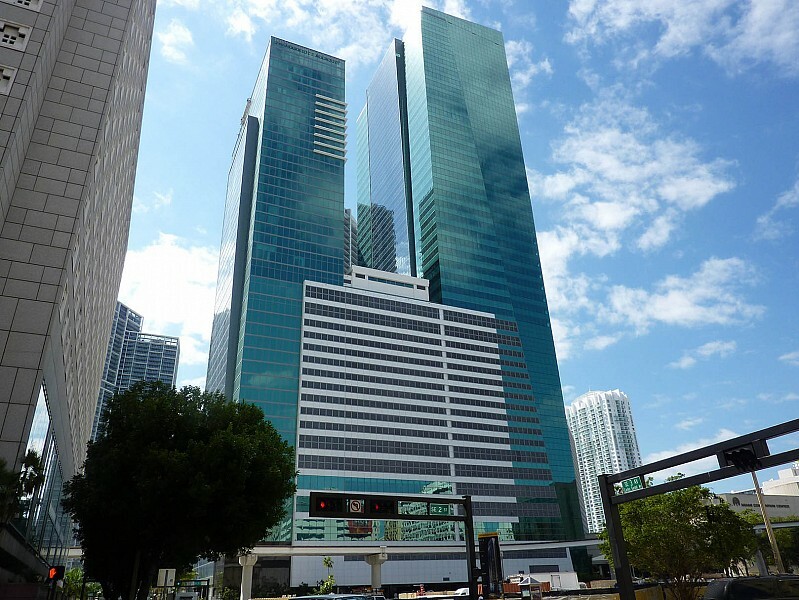 The Met 2 complex consists of two separate towers connected by a 19-story podium, housing a parking garage with 1,500 spaces, and other amenities for both towers. 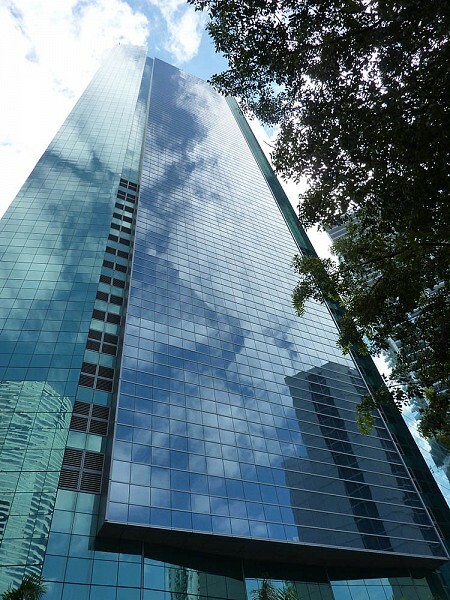 The 47-story office building, officially named Wells Fargo Center, is 670 ft high, with 753,000 square feet of Class A office space. 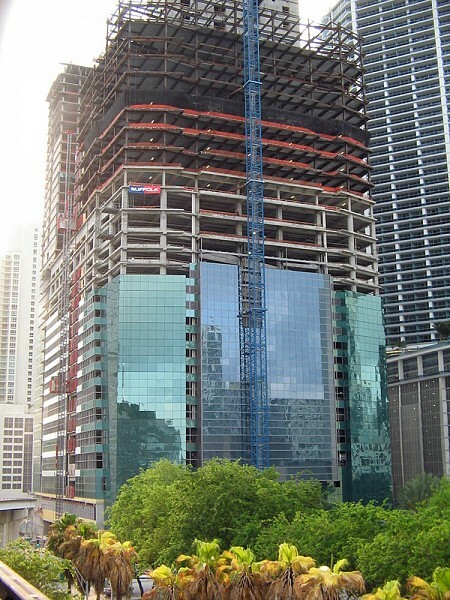 The adjacent 41-story tower, with a building height of 500 feet, contains the 313-room five-star Marquis Hotel, which will be operated under the JW Marriott Collection flag. 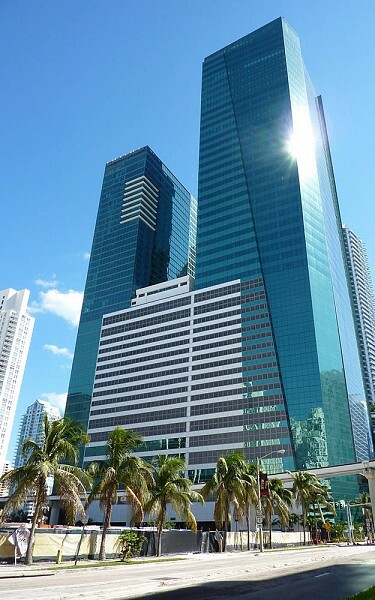 The project, designed by the award winning architectural firm Nichols Brosch Wurst Wolfe, covers a total of 2.3 million square feet, with a project cost of $330 million. 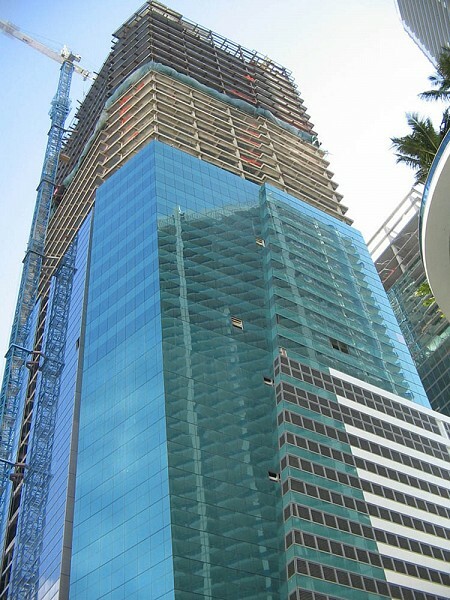 Construction started in December of 2007, with a completion date of October 2010. An interesting structural feature of the complex is the two-story, 18,000 square foot column-free ballroom on the third floor of the podium. 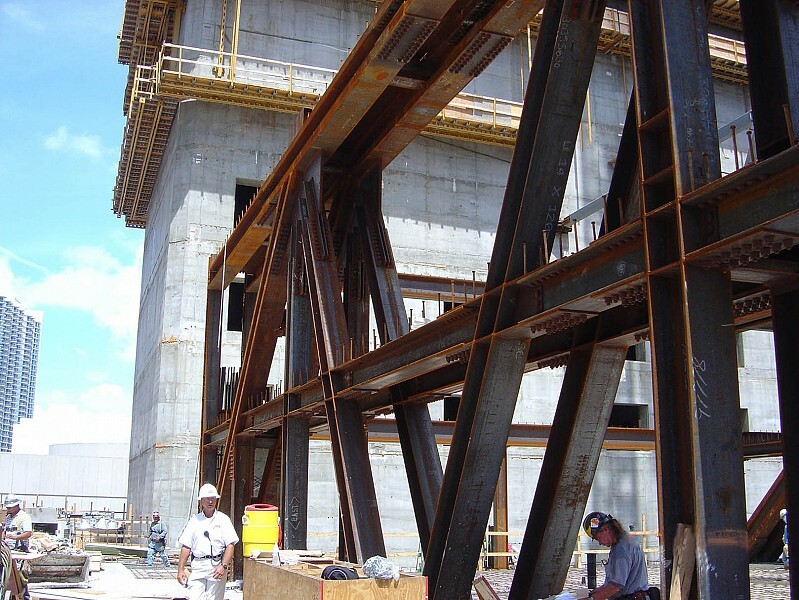 Six two-story, 110 ft span steel transfer trusses at levels 5 and 6 support sixteen levels of parking garage and mechanical rooms above the ballroom. The lobbies for both the office and hotel are also housed in the podium, with the hotel pool, spa and fitness center, and a regulation basketball court at the 19th level. 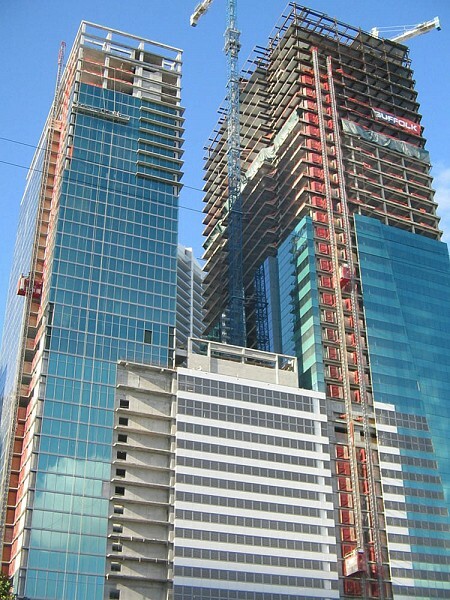 Met 2 consists of three different floor systems, dictated by functional considerations: precast-prestressed concrete beams and girders for the long span parking garage requirements, steel framing with composite floor system for the office tower, and cast-in-place post-tensioned flat slab floor construction for the hotel tower. 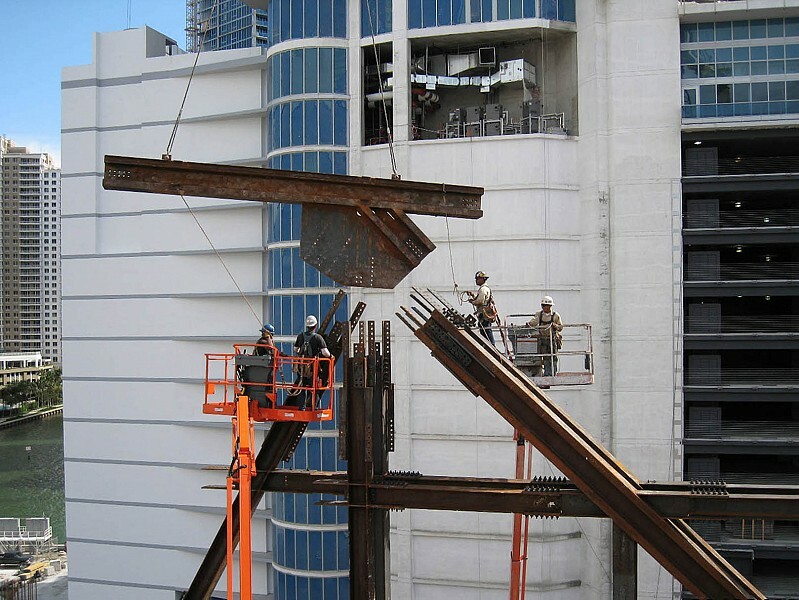 The office tower floor framing system consists of 3 ¼” light weight concrete slab on 3” deep composite metal deck (total 6 ¼” thick) supported by steel beams spaced at 11’ to 13’ on centers. 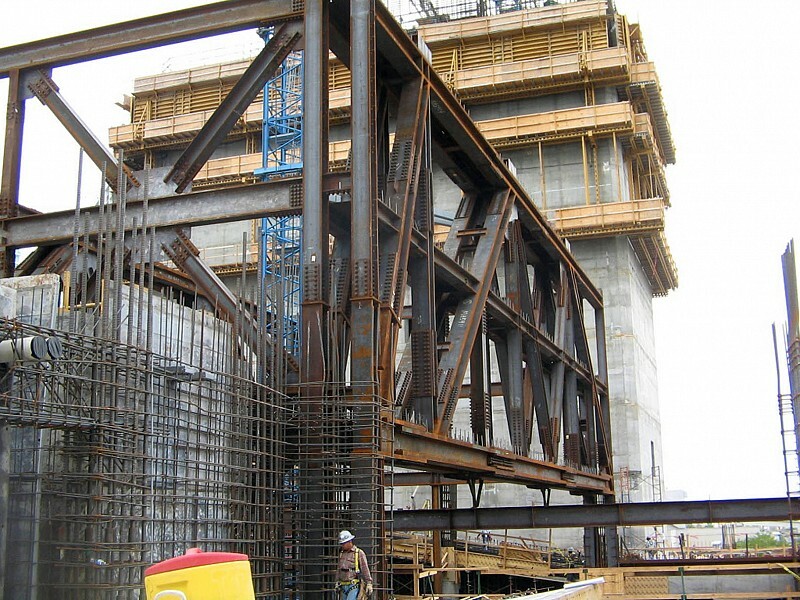 With a floor-to-floor height of 13’-6”, the typical beam depth is 18”. 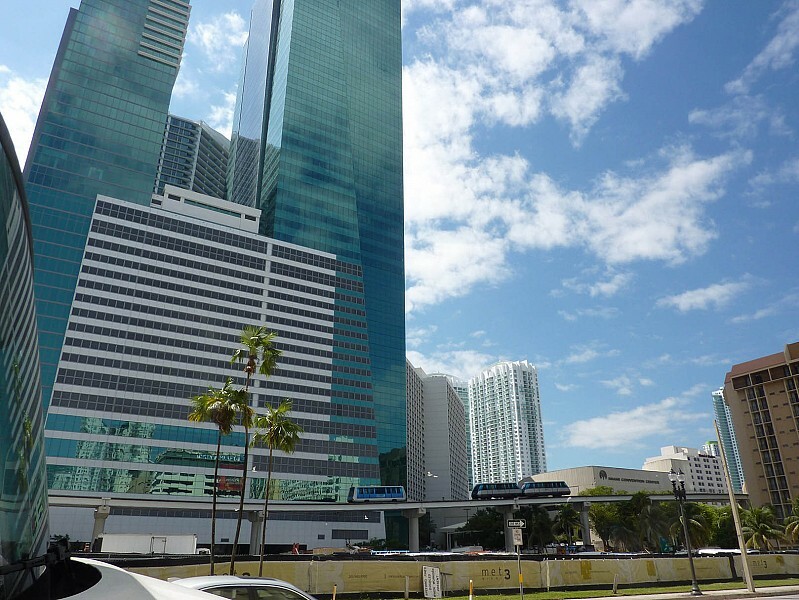 Met 2 is set in an urban downtown that has suffered serious economic challenges. It will join Met 1, Met 3 and Met Square, the fourth and final phase of the complex, to create a new and vibrant downtown hub that will function as a city unto itself. When complete, the complex will have a major effect on the economic and social vibrancy of the area. The complex will encompass almost every aspect of human activity including residential, hospitality, recreation, night life, commerce, work and entertainment venues. Met 2 contains within its multi-functional spaces a cavernous ballroom that will be the largest in the entire area. The ballroom is equipped with convention center capabilities as well as loading capacities for hanging displays of varying types, including cars and large sculptures. 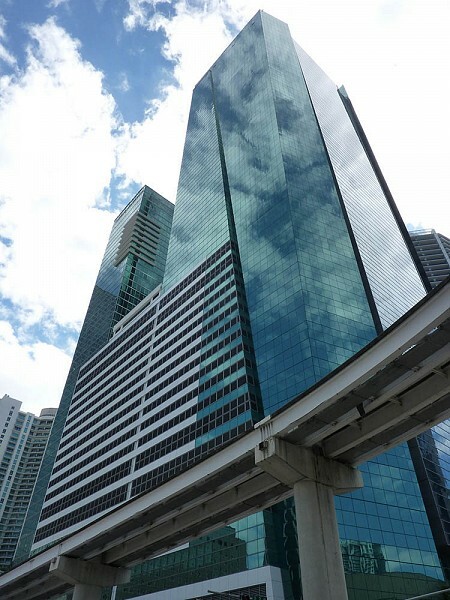 Visually, the glass façade is meant to impact its surroundings with an impressive all-glass curtain wall envelope. 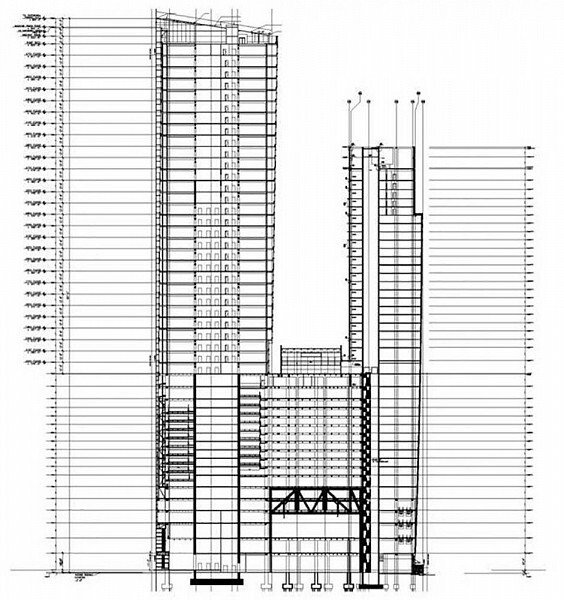 The architectural intent that the curtain wall conceals the structural elements was addressed by placing the columns further back than they would typically be placed so as not to interfere with the views and the lustrous appearance of the building. One of the many entertainment settings in Met 2 is an NBA regulation basketball court that can be used to host Miami Heat events. Shaquille O’Neal will be instrumental in promoting its use to attract local athletics. Met 2 is an important local example of sustainable practices, receiving a LEED Gold certification.